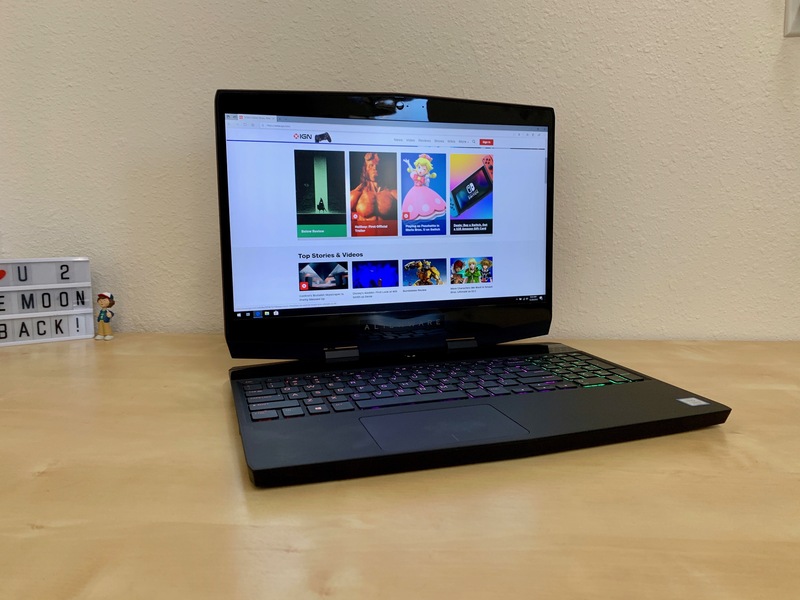 Alienware has redesigned its m15 (See it on Dell’s site) gaming laptop, and is seemingly taking on its own line of laptops now, specifically the 13″ model in the same family. I say that because this 15″ laptop is 14 percent thinner and 20 percent lighter than the Alienware 13, despite having a 15.6-inch display. The m15 is also the thinnest Alienware laptop the company has ever released. One of the ways Alienware shaved off a few millimeters was by going with an Nvidia GTX 1070 Max-Q GPU, which is clocked lower than the standard model, so it doesn’t need as much space for cooling. Like most Alienware PCs, the m15 is customizable, with configurations ranging in price from $1,379 to $2,349. Alienware sent me one of its higher-end configurations, which sells for $2,260 and has all the trimmings. As I write this review, after over a week of using the m15, I still can’t believe this is a 15-inch laptop. It looks and feels like a 13-inch laptop, yet it has a 15.6-inch 144Hz IPS FHD display. The m15 measures 14.3 x 10.8 and is 0.83-inches at its thickest, in the back, or 0.7-inches near the front of the laptop. To put that into perspective, Apple’s latest 13-inch MacBook Air is 0.61-inches thick, so it’s very thin, especially for a gaming laptop. Overall, the m15 weighs 4.76 pounds, which is about a pound less than a standard 15″ gaming notebook. Alienware offers two color options for the lid; nebula red, or epic silver.